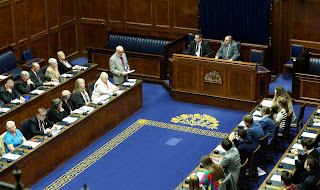 To mark the International Day of Older Persons 2015, Assembly Community Connect brought member of the Age Sector Platform and members of the Northern Ireland Youth Forum to Parliament Buildings to debate a motion in the Assembly Chamber, as Northern Ireland’s inaugural Intergenerational Parliament. 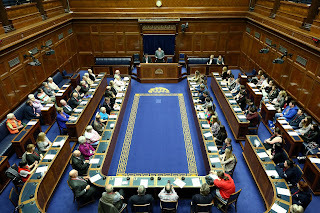 The debate was presided over by the Speaker of the NI Assembly, Mitchel McLaughlin MLA, who invited the groups to the Assembly’s main Chamber to highlight the importance of mutual respect in our society. That this House believes the skills and experience of older people can be transferred to the younger generation; and calls on older and younger people to value and respect the contribution each can make to society. The motion was unanimously agreed by consent of the whole House. You can listen to the debate below or read the Hansard transcript of the debate.